In 2014, Betknowmore UK launched the first dedicated community hub to provide gambling support services. 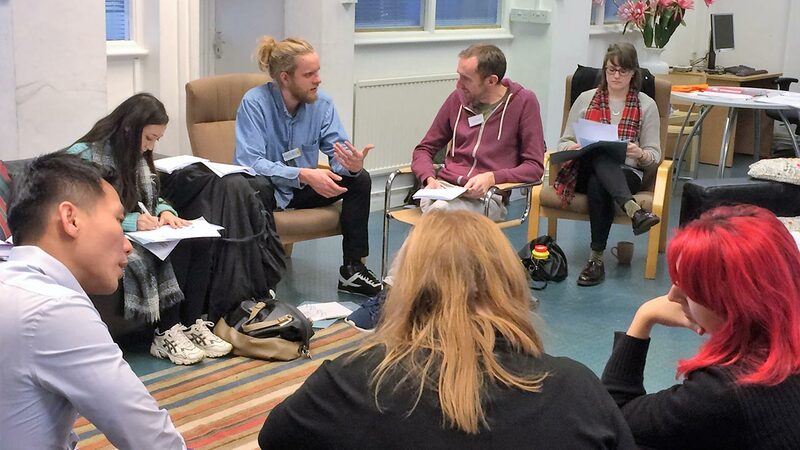 Our focus was to provide ‘grassroots’ community support, engage closely with the local community and work in partnership with existing service providers. 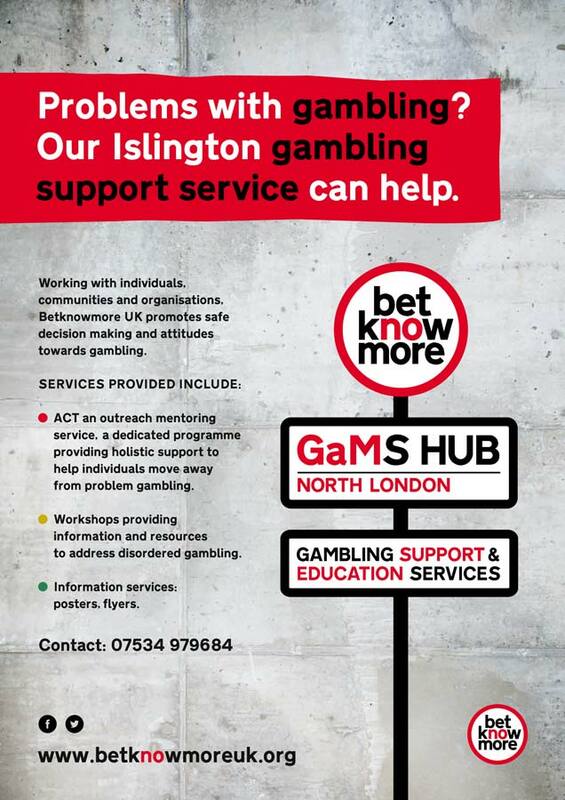 Our Islington GaM-S Hub provides the ACT support and treatment programme, providing rapid assistance to clients experiencing harm from gambling. Betknowmore UK also provides information and supports research around the issue of gambling related harm. We are collating evidence and data about the causes of problem gambling and raising its profile on a local, regional and national level. Research -- The GaM-S Hub will generate independent research and data. There are no independent borough-wide profiles of residents gambling habits in London. Given the impact gambling can have on income / poverty – this needs to change. Providing information and creating awareness around gambling dependency. Please contact us to receive our latest materials.